Insomnia means difficulty with either falling or staying asleep. A yoga instructor advised a girl who had this problem before her friend got married. She gave her an advice to lie in a supine position and close her eyes, take a deep breath through the nose and inhale for 4 seconds. Hold the air for 7 seconds slowly start to exhale through the mouth for 8 seconds. Repeat the whole procedure 4-7-8 counting the seconds for yourself and then follow the breathing procedure. This breathing exercise will calm your body and slow down your heart rate. This method has sedative effect. 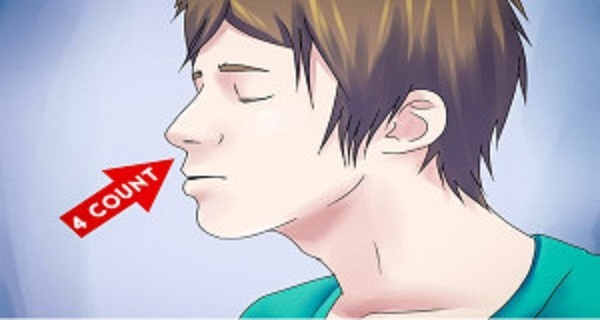 Holding your breath and slow exhalation will lower your heart rate. Also, the counting and the concentration on breathing will relax and calm your mind. The nervous slowly starts to calm down and anxiety starts to disappear, relaxing the whole body. This method with its speed and strength is similar to anesthesia. Furthermore, Andrew Weil, a doctor of medical sciences at Harvard, found that this method has been used by Indian yoga teachers for centuries for achieving complete relaxation. Therefore, whenever you feel nervous and anxious, and you can`t sleep, simply try this technique. Dr. Weil recommends practicing this method 2 times a day in order to improve it and then use it when necessary.